Prices for OfficeJet Pro hardware have fallen so dramatically that they are within reach of home users, meaning the HP Inc is now getting the yield per unit it would expect. Dion Weisler, CEO of HP Inc, made the comments during an analyst's call to discuss the company's disappointing 4Q 2015 results, The Imaging Channel reported. Weisler also said in the call that the pricing pressures that had led to the plummeting prices had been accelerated by on-going effects of currency movements, at a rate that surpassed the OEM's expectations, with the overall printing market weaker than HP Inc had expected. Digitek said that last month the OEM increased the prices on a number of its "small format ink cartridges, print heads, photo value packs and small format media" by an average of 5.2%. Full year net revenue for the total Printing and Personal Systems group totalled $52.7 billion, down from the 2014 figure of $57.5 billion. 4Q 2015 hardware units sales were down 17% for the full year, while commercial hardware fell 23% year-on-year, as did supplies revenue, by 10%. Thanksgiving is a Special Day at Priceless. We are thankful for many things, one of which is the opportunity to serve the needs of our family of loyal clients. Thank you for choosing Priceless as your supplier of imaging and printing products. We wish everyone a wonderful and safe holiday. We will close Thursday November 26th and reopen for normal business hours on Monday November 30th at 9:00 am EDT. Our Staff is excited to spend some valuable holiday time with their family. 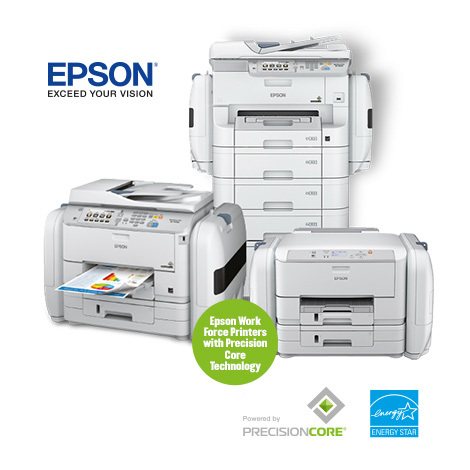 Priceless is now an Authorized Epson Dealership for the cartridge-less printers. Important: To be sure you receive our emails in the future, please whitelist this email address: customerservice@piwarehouse.net in your e-mail filter program. 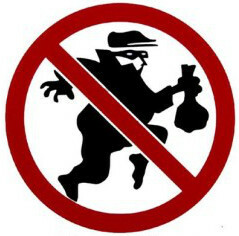 If you don't know what "whitelisting" is and need instructions on how to do so click here. An article covering "the biggest rip-offs and mark-ups" names original printer supplies, and recommends using "remanufactured and compatible ink & toner cartridges" or refills instead. The article, from UK internet and telecoms company BT, refers to a recent British television program "The Shopper's Guide to Saving", which looked at the high cost of ink and also investigated the quality of remanufactured cartridges. It adds that "an everage branded printer ink 5ml cartridge" can cost between $12 and $22 "to buy in the shops, but costs less than $0.76 to make". BT notes in turn that the reason for this "is manufacturers use printer ink to help recoup the cost of the expensive technology in our actual printers, which are generally quite affordable", with cartridges just one purchase that "many of us pay a premium for". Products that are also "slickly marketed and branded" are often bought "when there are much cheaper alternatives available". The article then adds that "one way to save on the high cost of printer ink" is to "recycle your old cartridges" and "buy refurbished replacements", which it notes are "refilled with ink and cost up to 40% less than buying a brand new replacement". Also, customers are recommended to "alternatively" shop for "non-branded replacement inks, which are also just as good". Visit Priceless Ink & Toner for high quality refurbished and non-branded replacement printer supplies. Source: OEM cartridges one of “biggest shopping rip-offs"
Office Depot has asked its employees to look out for two women who are stealing printer ink in the Puget Sound area in Washington state. An internal memo said managers believe the two have taken at least $7,200 in ink cartridges from the Lynwood store, by stuffing them into large handbags, KOMO news reported. The two women have also been seen at four other stores, including the Airport Way and Aurora Avenue North locations in Seattle, where the remainder of the $10,000-worth of cartridges may have been stolen, police believe. In 2011, Office Depot employee Dion Alexander was given 16 months in prison for dealing more than $500,000 in toner from the company's Kent warehouse. Canon ranks highest in customer satisfaction with multi-function inkjet printers, performing particularly well in reliability, performance, price paid and customer service, according to the J.D. Power 2015 Multi-Function Inkjet Printer Satisfaction Report released on Nov 3rd. The report measures multi-function inkjet printer satisfaction based on six factors (in order of importance): performance; reliability; ease of operation; variety of features; price paid; and customer service. Satisfaction is measured on a 1,000-point scale. Overall satisfaction among multi-function inkjet printer customers is 850 in 2015, down by 7 points from 2014. Satisfaction declines slightly year over year across all factors, with a notable drop in the customer service (-23 points) and ease of operation (-12) factors. "While performance and reliability remain most important among multi-function inkjet printer owners, ease of operation and customer service has emerged as problematic this year," said Christina Cooley, director in the diversified services industries practice at J.D. Power. "If customers who have difficulty operating their printers call customer service for help but then have a poor experience resolving their problem, the perception of printer quality is diminished. The printers that perform well, are dependable, and are user-friendly will have the best opportunity to delight customers and maintain loyalty and advocacy for the brand." · Among customers who rate overall satisfaction 10 (outstanding) on a 10-point scale, 81% say they "definitely will" purchase another multi-function inkjet printer from the brand they currently own in the future, compared with the report average of 50%. · As satisfaction increases, shoppers are more likely to provide positive recommendations to family members, friends or colleagues. On average, customers who rate overall satisfaction 10 provide 5.6 positive recommendations, compared with an average of 2.5 among those who rate overall satisfaction 8. · Fully 66% of customers purchase multi-function inkjet printers in a store, followed by 32% who purchase online. · Price is the primary reason for choosing a multi-function inkjet printer brand (68%), followed by brand reputation (49%) and previous experience with brand (45%). · The average price paid for a multi-function inkjet printer is $144. Buy your multi-function inkjet printer cartridges from us!